If there was a house DJ in America who could accurately claim to be the most important house DJ working today, it would be Doc Martin. But then, Doc would never accept such a title even if it happens to be true, because Doc is not only a legendary talent but a legendarily humble man. 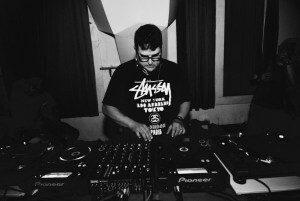 Doc Martin has earned the respect of many who are fanatic about his style of DJ’ ing. His style crosses over from all timeless genres providing his listeners a new outlook & ever growing futuristic, unique sound. He can always surprise you with a rare classic that crosses time zones and still hits the spot even now. You will always feel the warmth of the crowd around the decks watching him spin away as they dance. The variation in his style of music is endless. What makes him so different from the rest is his unique ability to spin everything from Deep House to his funky Tribal Bass lines mixed with threads of Acid which creates soundscapes that cross all barriers. His collection of rare & classic records can be heard at his gigs. He continuously chooses and enjoys mixing with digital and analogue gear as he creates his own signature style of DJ’ing & Recordings. Constantly producing and remixing for his own and various labels across the world Doc Martin is always working on a new project and touring the world.